A former do-it-yourself car wash on Bogus Basin Rd. near Hill Rd. is about to get a new life – and change focus from cars to bikes. 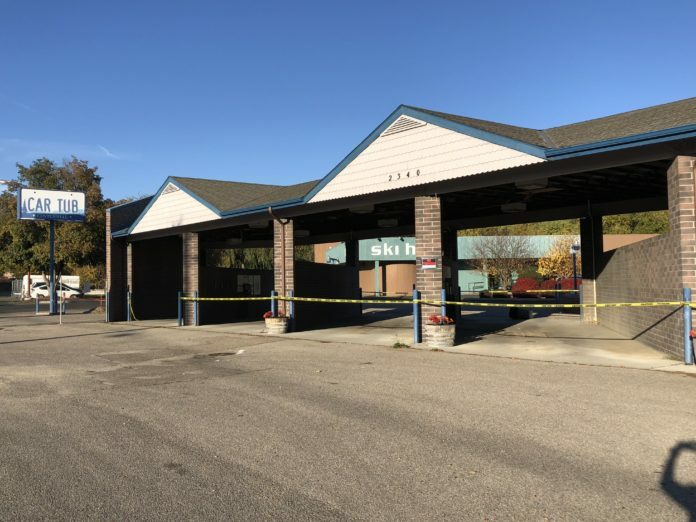 According to permit filings with the City of Boise, crews will build two new walls on the front and back of the old Car Tub car wash where vehicles used to enter and exit. Inside, two retail spaces will be built out, including Reed Cycle. Reed has an existing location on State St. in Eagle. This new shop would put it at the base of the popular Kristin Armstrong Bikeway which runs up Bogus Basin Rd. to the resort and near popular foothills mountain biking trails. Reed carries bikes from a variety of brands and provides tune-up and other bike maintenance services. Bill and Tami Reed founded the business in Eagle in 2000. “Based on the location, we feel the area would benefit from having another walking friendly retail space for the North End, and revitalize that side of the street,” Doug Newell of ALC Architecture wrote in an applicant’s letter to the City of Boise. The cycle shop will take up about 3,500 square feet of the building with a showroom, offices and restrooms. The other tenant space will fill the remaining 1,450 square feet.